LOS ANGELES — Good news, drivers. Metro is looking into the one solution that has actually been proven to reduce traffic. Los Angeles County’s transit agency is set to vote this week to study a practice called “congestion pricing,” which would charge people to drive on roads based on how busy it gets. Metro CEO Phil Washington proposed the idea last month as a way to not only reduce impassable roads, but accelerate some big transportation projects for the 2028 Olympics. “We have to do something about congestion in the county and it’s going to get worse,” Washington told KPCC’s AirTalk in December. If you’ve ever been hit with surge pricing while using a ride-hail service like Uber or Lyft, or tried the express toll lanes on the 10 or 110 freeways, you get the gist of congestion pricing. Users get charged a fee that goes up or down based on demand for a limited commodity, in this case the roads. The first, cordon pricing, is the most common in practice. It sets a variable fee to enter a certain neighborhood, usually the central business district, as is done in London and Stockholm. The second model charges drivers based on the number of miles they travel, with rates dependent on the time of day and where the travel occurred. Under the third model, drivers are charged on certain busy corridors, like freeways or big arterials, such as Wilshire Boulevard. In all cases, the fee would vary according to the size of the demand. Driving at 8:30 a.m. would cost much more than at 10:30 p.m. The idea is to force people to consider whether they really need to travel into a crowded area or at a peak time, or whether they might travel at a different time or elsewhere, or use a less costly alternative mode of transportation. WHY ARE EXPERTS SO HOT ON CONGESTION PRICING? 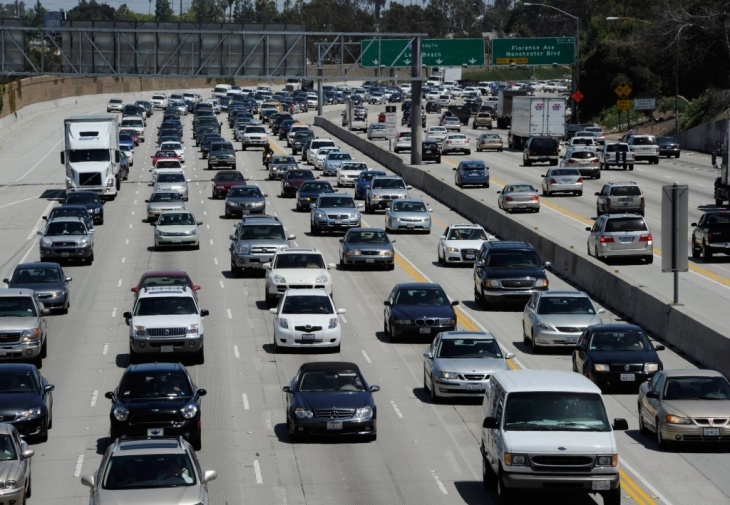 “The reason that people like me and my colleagues like congestion pricing so much is that it really is the only way to meaningfully reduce traffic congestion,” said Michael Manville, UCLA urban planning professor, at a Metro committee meeting in January. “Conceptually, it’s the only way to do it. Empirically, it’s the only policy that’s ever been shown to reduce congestion and keep it reduced,” said Manville, pointing to successful programs in London, Stockholm, Milan and Singapore. 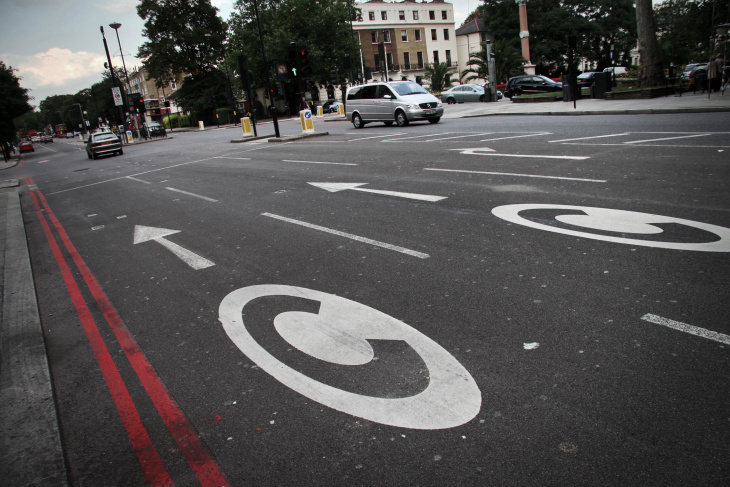 In London, the number of private cars entering the congestion zone dropped by 39 percent between 2002 and 2014. In Stockholm, traffic dropped by 20 percent during the 2006 pilot program, enough to convince a skeptical public to vote and make the charge permanent. New York City has been working on some form of congestion pricing for years. Manville also pointed to evidence that efforts to expand road capacity, by building more or bigger freeways or taking some cars off the road by building trains, don’t permanently reduce traffic. In most cases, these increase it. “What basically happens is that you can have a situation where suddenly the road’s moving faster, but pretty soon people realize that, and they start to converge on the road at that time,” said Manville. It’s such a well-documented phenomenon that it has a name: the Fundamental Law of Road Congestion — and we’ve written about it here. Congestion pricing operates on basic economic theory. If there’s a high demand for a commodity and you give it away, people will get in line to get it and “pay” with their time instead. Soviet bread lines or free ice cream cones show how this plays out. But if you set the price of a commodity correctly, you can mitigate the demand for it, and in the case of the roads, make them function more efficiently. Many people are understandably resistant to the idea of paying for something they currently get for free. Until now, it’s been pretty difficult for congestion pricing to get political traction in the U.S., or be taken seriously by decision-makers. DON’T WE ALREADY PAY FOR THE ROADS? Theoretically, yes. Gas taxes are intended as user fees that pay for the construction of roads, although technically our gas taxes haven’t actually paid for the roads in quite some time. In Los Angeles County, residents also pay higher sales taxes to fund transportation, thanks to four voter transportation tax measures approved in recent years. Manville said we could think of congestion pricing as metering road use, the way we meter the use of services like electricity or water. Once the pipe system or the electric grid is built and paid for, utilities don’t stop charging people to use the service. If they did, people would leave their water on for 10 hours or run their air conditioners all day. “One thing that price does that the gas tax does not do is not just make sure that the service is there but that it’s good service,” he said. Under Manville’s analogy, the roads are like the water service. We only have enough of it to allocate well, and it’s only allocated well if it’s priced right. A cordon or corridor system would likely require all cars to carry a transponder, such as the FasTrak currently used for the express lanes. A charge based on vehicle miles traveled could be viewed as more invasive, requiring some kind of location-enabled tracking that plugs into a car’s computer. Metro has already had a hard time enforcing tolls in its express lanes, admitting a full quarter of users evade payment by switching their transponders to carpool or avoiding transponder readers. Metro is pursuing video systems that can read the number of passengers to catch carpool cheaters. WON’T CONGESTION PRICING HURT POOR PEOPLE? This is an oft-cited criticism. The fact is the charges would disproportionately burden lower-income people. Manville pointed out that we accept many other regressive charges, such as those for utility bills, gas taxes and transit sales taxes but that there are many ways to mitigate the negative effects for disadvantaged populations. Offering a low-income discount, as Metro does for transit fares, is one. The revenues from congestion pricing can also be reinvested into alternative modes of transportation like transit to make non-auto travel more viable. And with reduced traffic, buses can operate much more efficiently. Metro’s Washington has even suggested that county transit could be offered free with revenues from congestion pricing. Metro estimates congestion pricing could raise about $10 billion a year. “If we were to implement something like this, we would be the first major city in the world that would offer free transit on the scale that we have it here in Los Angeles,” he said.